PUNE: Suhana , Pune's leading spice and food product brand has won accolades for it’s Warehouse at Bhuleshwar. 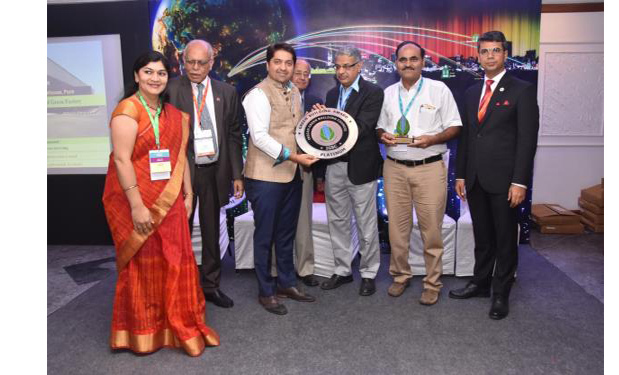 IGBC - Indian green building Council, has recognised Suhana Warehouse at Bhuleshwer as platinum rated green building at Indian Green building Congress 2017, for its eco friendly design, rain water harvesting, use of solar power, waste management, water recycling, organic landscaping, preservation of biodiversity etc and providing most holistic work environment. 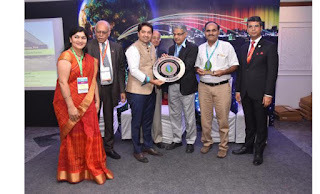 This award was presented to Anand Chordia (Technical Director , Pravin Masalewale) at World Green Building Congress at Jaipur recently at the hands of elite dias including V Suresh (IGBC - Policy and Advocacy committee and Principal Executive Officer, HIRCO Developments Pvt Ltd), Padma Shri C N Raghavendran (Chairman, IGBC - Chennai Chapter), S Srinivas (Deputy Executive Director, IGBC ) and Anand Mishra, (Co-Chair, IGBC - Jaipur Chapter).The proud team received the award for one of the certified greenest factories in the food sector in India. Anand Chordia said that the project demonstrates outstanding implementation of green measures along with use of renewable energy to the optimum and also added that we are a socially responsible company and trying to protect and preserve mother nature as our corporate responsibility. He feels more such awareness amongst industries will really make India green, clean, sustainable and add positively to our economy.